I went on an adventure a few weeks ago to play music at the Sapporo Yuki Matsuri, or Snow Festival. I’ve heard about this festival so much over the past 7 years ManoaDNA has travelled to Japan so I was so excited to get an opportunity to perform there. 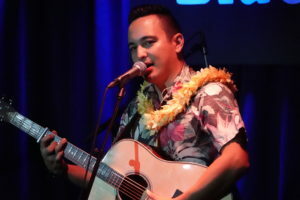 Thank you to Panasonic, FM NorthWave, Reiko and Leila, and all the friends and fans that came out to support Sarah Kamalei and me at the POKA POKA Station Stage! To start off the trip we were so happy to see snow in the -6 degree Fahrenheit weather! It was snowing so hard all day and night. We walked for hours braving the awesome cold weather! Although the snow made it really cold and wet it was really cool to watch it snow and walk around town while getting covered in white powder. I think it was cool because it is the EXACT opposite of Hawaii weather. 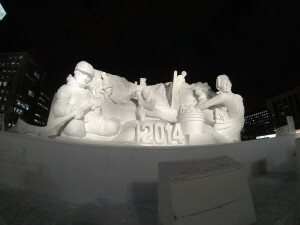 One of the HUGE snow sculptures for 2014. This is a big as a small building. Our second and third day in Sapporo we performed at the Panasonic POKA POKA Station stage right in the middle of the whole festival and got a chance to see a lot of friends from Sapporo. Inside of the Panasonic booth it was around 80 degrees and outside was around 25 degrees, so my mind was going crazy with HOT/COLD/HOT/COLD…I didn’t know what to do! After a great few days in Sapporo, Sarah Kamalei, Pele Reiko, Leila, and I were all ready to head to our respective hometowns. We needed to fly to Haneda (Tokyo) first to connect to our flight back to Honolulu. Because of a snow storm on Saturday night many of the domestic and international flights were delayed in and out of Tokyo throughout the day on Sunday so we were a little worried about our flight. Our original flight was suppose to be 6:30pm-8:10pm and we would have time to transfer to our flight home at 11:40pm. However, our domestic flight was delayed till 9:10pm, making us arrive at 10:40pm…giving us only an hour to make our international flight. This was cutting it close, but we would’ve still made it. We all boarded the plane and were ready to go but ended up sitting at the gate for 45 more minutes!!! Why you might ask?!? Well, there was a group of 6 or 8 people who the airline waited for because they needed to make an international connecting flight. Because we waited for them, a big group of us missed connecting international flights because our planes didn’t wait for us. We had to stay in the airport till 4am to work out our future flights and ended up finally getting a flight home the next night in time to make a ManoaDNA gig back home. I still don’t understand how they could hold a flight for a few people and make a big group of people miss our flights…AND they tried to blame it on weather so they wouldn’t have to pay for hotel accommodations or flight changes! Oh well…it all worked out and we made it home. 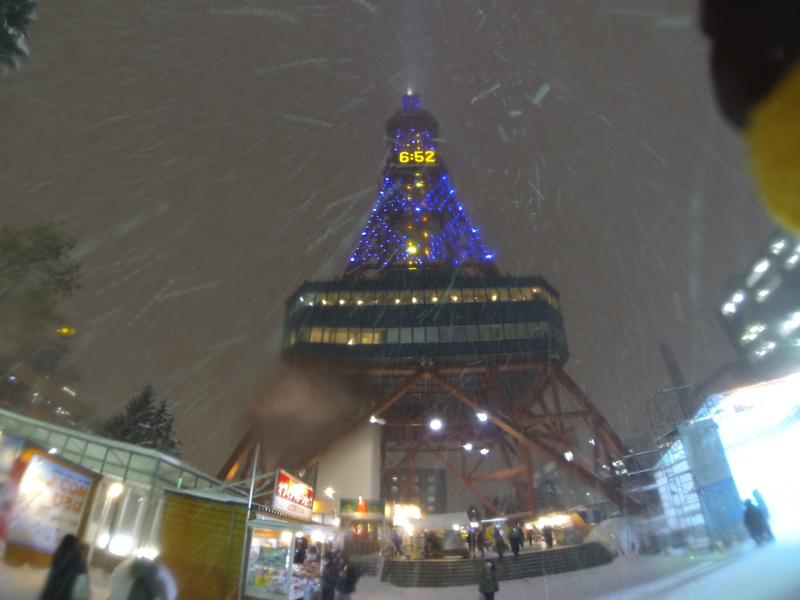 Even though the end of the trip was really bad it didn’t take away from the amazing time in Sapporo. Can’t wait to go back!